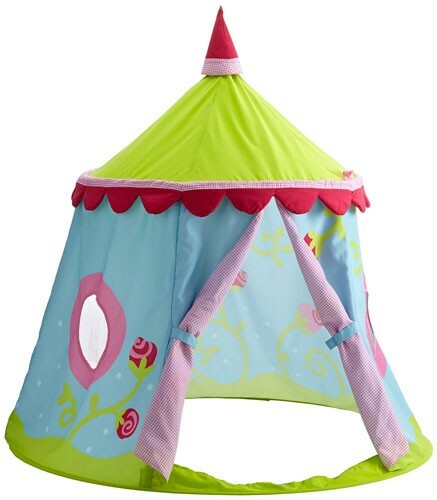 Haba's Caro-Lini Play Tent is a wonderful addition to a child's room. 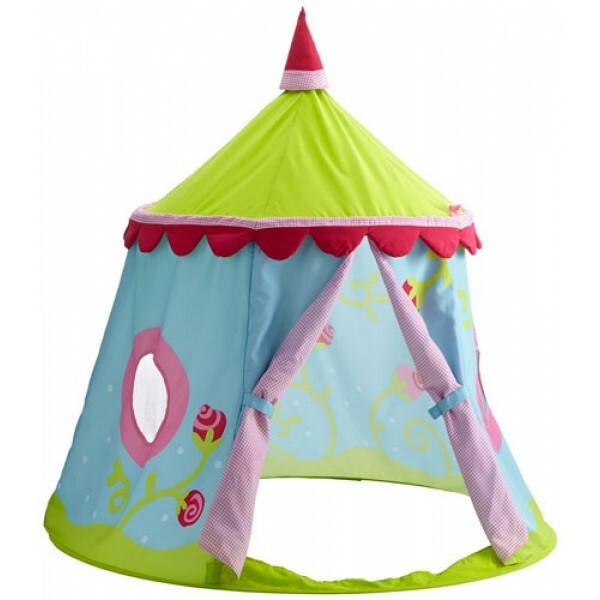 It offers your little ones an imaginative place to have their make-believe adventures! This free-standing fort is great for camping in the house or just to create a little private spot that is all their own. When it's not in use, just fold down completely and stow away into a zipper carry case. Fort Dimensions (inches): 49.2 High x 47.2 Wide.